Branding doesn’t stop at the logo. Successful branding is a promise of quality customer service and quality products or service. Poor branding is confusing and leaves customers wondering what you’re trying to say. In this day and age of competition between brands both big and small, you can’t afford to push your branding aside. The truth is your business can’t survive in this competitive age without strong branding. While it can feel overwhelming, it’s not as hard as you think to put together the basics of a brand. Keep reading to learn why your business needs to build a brand, and how you can start branding your business today. Before we address why branding is essential for your business today, let’s break down the most common myths. These myths keep many companies from exploring their own branding, which in turn leads to the failure of their businesses to find a place in their industry. Are you falling for any of these myths? Myth 1: Branding is only for big businesses. You’re probably familiar with some of the biggest brands out there. Disney, Nike, and Coca-Cola have all made a name for themselves with a strong branding foundation. This might seem like it’s limited to large, established businesses, but that’s just false. Think about the last time you went shopping at your local grocery store. You probably weren’t personally familiar with every brand you stumbled across, yet you made choices based on things like logo, name, and design. Myth 2: Branding is all about your logo. While the logo is usually recognized first, it shouldn’t be the be-all-end-all of brand identity. To brand a business means to establish clear messaging, target audience, colors, and story. On their own, these things don’t make up a brand, but together they are a powerful way to stand apart from the competition. Myth 3: Branding is expensive. The cost of branding varies across the board. Some businesses paid a shockingly high amount while others might surprise you. Twitter, one of the most popular social media platforms in existence, created its famous blue bird for only $15. You can find great designers in-house, through an agency, or even contracted. Price and value are not equal when it comes to branding your business. Now that we’re past the most well-known myths about your business, it’s time to tackle the main incentives for actually committing to branding. While you’ve certainly experienced the power of branding in action whether you’re choosing a new laptop or a new cereal, sometimes you need to see the statistics to make the decision to build your own brand. Customers are loyal to brands. The biggest reason you need to brand your business is simply that it will earn you more long-term customers. Think about the brands you’re loyal to. This is good branding in action, and it’s more powerful than you think. A recent study shows 44% of US Millennials are loyal to the brands they buy. Branding is a promise to your customers. Customers need to trust your business before they buy from your company. How can you build trust? Things like Whitehat SEO, content marketing, and more are significant steps, but branding is your foundation. When you’re consistent in your branding, customers know what to expect when they interact with your business. It’s harder than ever to find the right customers for your business today. With so much competition, your ideal consumer gets lost in the noise. Your brand helps you not only discover your right customers but keep your right customers. 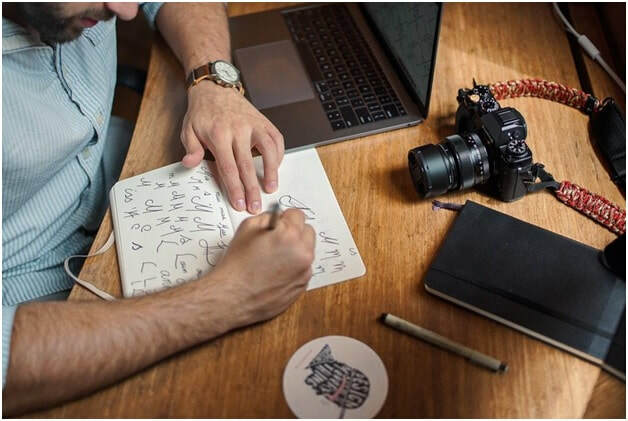 By keeping your target market in mind when designing your logo, your fonts, and your messaging, you can ensure they’re the ones most likely to connect with you. Branding and business today go hand-in-hand. If you want to stay competitive, you need to focus on building your brand. This doesn’t mean spending thousands of dollars you don’t have on design and logo creation. It does mean knowing your audience and finding new ways to reflect what you have to say. Once you’ve built a brand your consumer's trust, it will act as a referral to generate even more leads into the future.